Looking for a great way to raise money for your church, school or athletic team. Our program offers your organization an effective way to raise money. Through our program, you host a car wash fundraiser without the actual hassles of running one and help the environment. How it works: Quite simply, you sell the card and we provide the wash! 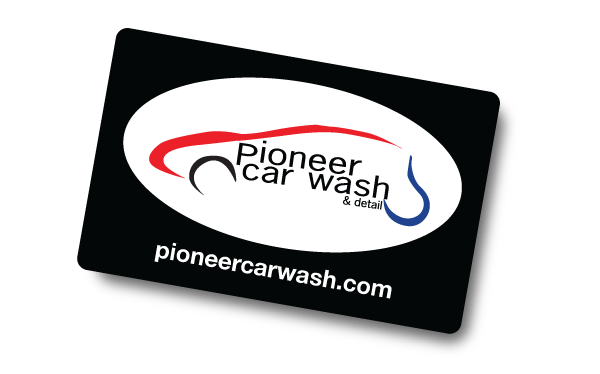 We provide your organization with Pioneer Car WashCards to sell. The wash cards have $25 of value already stored on them and can be used anywhere on our site. What's more, they can be reused and recharged by the customer for continued use and savings. You sell them to your friends and family for $25 and for every card you sell you keep 40% of all money collected. That’s $10 for your organization for each card sold. Additionally your contributors receive all the benefits of the Wash Card such as extra value added for every recharge and for registering their card online they’ll receive a Free Birthday Wash, free loss protection and any monthly special offers. We eliminate your liability for damage or injury! We can help you make more money! Your organiztion didn't have to get dirty! We are better for the environment! Contact _________ at _________ or ___________ or leave a message at ### - ### - ####. Pioneer Car Wash, © 2019. All rights reserved.